With a stay at Plus Condominium 2 in Kathu, you'll be next to a golf course, within a 15-minute drive of Patong Beach and Tiger Kingdom Phuket. Featured amenities include complimentary wired Internet access, express check-out, and dry cleaning/laundry services. Free self parking is available onsite. 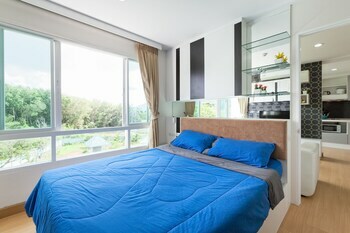 Located in Pattaya (Pratumnak Hill), New Nordic VIP-1 is minutes from Pattaya View Point and Big Buddha Temple. Free self parking is available onsite.